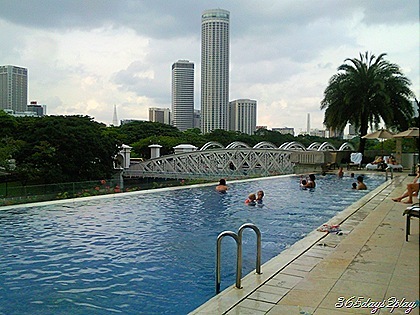 Fullerton hotel has the swimming pool with the best views! You can watch the people strolling by the Singapore river, it is quite an interesting experience! Interestingly, most of the pool users are Caucasians. Which hotels do the Asian tourists like? Look at this picture, would you not agree this is a very picturesque view of the Singapore River from the Fullerton Hotel Swimming pool?